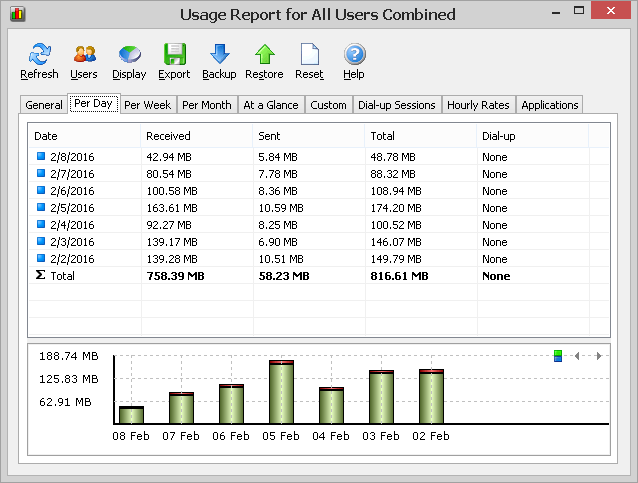 NetWorx 6 is a simple and free, yet powerful tool that helps you objectively evaluate your bandwidth situation. You can use it to collect bandwidth usage data and measure the speed of your Internet or any other network connection. NetWorx 6 can help you identify possible sources of network problems, ensure that you do not exceed the bandwidth limits specified by your ISP, or track down suspicious network activity characteristic of Trojan horses and hacker attacks. The program allows you to monitor all your network connections or a specific network connection (such as Ethernet or PPP) only. 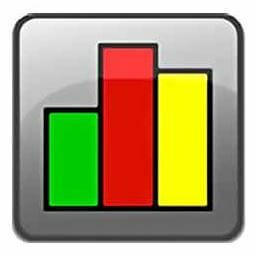 The software also features a system of highly customizable visual and sound alerts. You can set it up to alert you when the network connection is down or when some suspicious activity, such as unusually heavy data flow, occurs. It can also automatically disconnect all dialup connections and shut down the system. Supported platforms: Windows XP – Windows 10 (32-bit, 64-bit).